Remember Last Action Hero, Arnold Schwarzenegger’s 1993 heavily meta action comedy with a frenetic, Shane Black sensibility to it? Though it’s reached cult status in the years since, it didn’t do too hot upon initial release. And over twenty years later, its star has a theory about why. “The action hero era is over, Bill Clinton is in, the highbrow movies are the ‘in’ thing now, I couldn’t recuperate,” he continued. On the one hand, he isn’t entirely wrong. Conflating the high-octane action films that were Arnie’s primary money makers with the Reagan era of American bombast is eminently reasonable. And certainly, 1993 was in the waning years of that sort of film—that type of big-budget action blockbusters doesn’t exist anymore, really. They’re either superhero films or they need some other sort of hook to them (or they’re mid-budget Liam Neeson thrillers). But Schwarzenegger’s cultural analysis doesn’t quite stack up. If anything, Last Action Hero is the perfect Clintonian action movie. Its postmodern, meta-filmic sensibility, which has its star playing a fictionalized version of himself in a magic world where action movies are real, fits right in step with a political climate that’s rethinking certain ideas about American machismo. 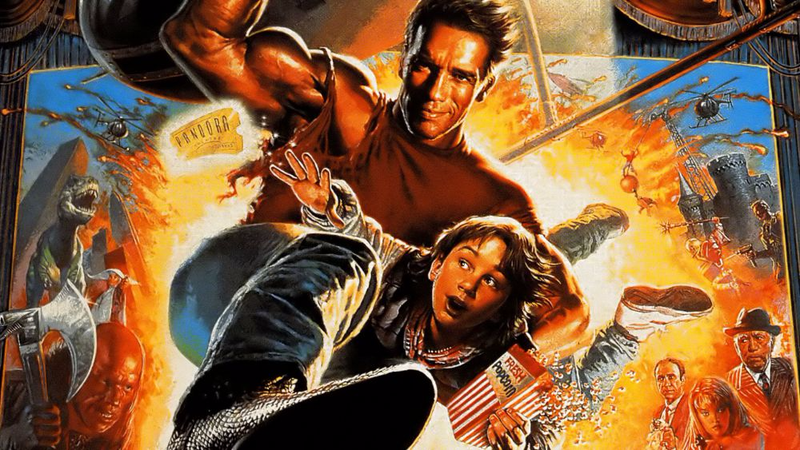 Last Action Hero is all about the action star as a type of performance, both a fun fiction and a joke we’re all in on. Rather than going against those Clinton-era changes in pop culture, it foreshadows them nicely. There’s another, very good reason Last Action Hero was a bust at the box office. While the movie came out about six months into the Clinton presidency, it also came out one week after Jurassic Park. Jurassic Park. One of the most successful and beloved blockbusters of all time. I’m sorry, but Jack Slater never stood a chance.